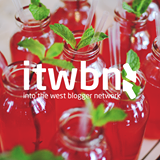 Over the weekend I attended yet another very fabulous #itwbnBloggerEvent. This time it was extra special as Sinead and Saibh the creators of the network celebrated their first very successful year of #ITWBN and I couldn't imagine a more glamorous place to celebrate then The G Hotel in Galway. The G Hotel is breathtaking. I felt like a celebrity just being there. We were treated like royalty from the moment we arrived. All staff were so friendly and so helpful. They didn't even laugh when we were trotting through the under ground car park in our heels or mind when we asked them to take a few 'selfies' or get annoyed when we chased them asking for gluten free nibbles. On every table they had a jug of cool still water with mint leafs in. It was so nice and refreshing, the health freak came out in me and I was drinking it all day. The staff made us feel so welcome serving us cocktails on arrival and even made effort to speak to us outside the event and were interested in finding out about our blogs. I couldn't have imagined a more positive experience. I will definitely be back soon. I really didn't want to leave. The hotel certainly lives up to the 5*s it has been awarded. The event was amazing and the day went so quickly. I learnt so much from the most inspirational speakers. Sinead Burke from Minnie Melange was first up, she is just so cool and such a smart lady. She spoke about blogging in a way I had never thought about before, I could listen to her stories all day. She has interviewed many successful people and we would even like to interview the same people Victoria Beckham been one. Sinead really is a book of knowledge, I would love to meet her again and I think we would talk for days! Dee from Castle Print was next up, she spoke about the importance of marketing and advertising for your business or brand. I learnt so much from her and my mind was spinning thinking of ideas about web design and business cards for my site. I know one thing for sure I most definitely will be going to Castle Print for my business cards! Karen from Karora also spoke. She filled us in on how she built her brand, marketing, advertising and the importance of how your site or brand looks and how it is judged. Wayne Denner is a Youth & Digital Communicator. Wayne helps young people make better choices online. Wayne informed us about the importance on making sure that we know that what we post online is not only going to have a positive or negative effect on ourselves but on other people too and to make sure that we are putting out an image that we want our reputation to be. There are so many young people online and using social media today and are very easily influenced by bloggers, celebrities and people in business. Especially the people they look up to and admire. That is why I think it is so important to be aware that what you are posting will have a positive effect on people. This can be anything from what you wear to how to act on a night out. No matter what you post online stays online good or bad and will effect you when looking for a potential job or business opportunity. In between the speakers we were given a chance to have a walk around and mingle with other bloggers and brands. I loved this part. I love meeting new people and learning from them. I met so many new bloggers and caught up with some of the girls and guys I already knew from previous events. Its so motivating to be surrounded with like minded people, who enjoy what you do. Ever since the event my mind is buzzing with new ideas and inspiration for bettering my blog and setting new challenges for myself. Its amazing where you find inspiration. I really had to come home and sit down to take in everything that I had learnt. The Goodie Bags are amazing, take a peek! I was overwhelmed with all of the amazing products we received, the brands were all so generous! 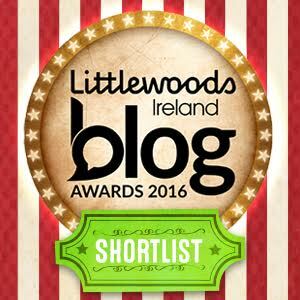 I cannot thank Sinead and Saibh enough for all that they do. They are amazing and they put so much into every detail of the event, I hope they know how appreciated they are and that their work does not go unnoticed. So Thank you again!